George Macdonald was born on the 10th of December 1824. He used to write novels on Scottish life. He was a poet and used to write stories for children. 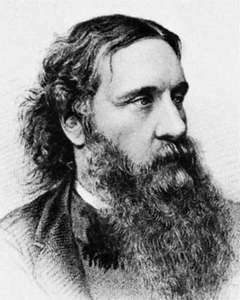 George Macdonald was born in the western part of Aberdeenshire, and his parents were George Macdonald and Helen McKay. His schooling was done in Aberdeenshire and he further studied subjects like Chemistry and Natural Philosophies in Aberdeen University from 1840-41 and 1844-45 and he was also awarded prizes for the respective subjects. Then further he studied in London for three years and went to Independent College, Highbury for studying Congregationalist Ministry. George Macdonald in 1850 was made in-charge of a Church in Arundel. He was not satisfied and had he finally resigned after serving there for three years. After that, he went to Algiers as he was ill for some time. After he had recovered he came back to England and decided to be an author. In the year 1855, his poem ‘Within and Without’ was published. Then in the year 1857, ‘Poems’ was published and in the year 1858 ‘Phantastes’ was published. In the year 1862, he published ‘David Elginbrod’ which made him popular among the people. This was novels written about Scottish country life. After that he published Alec Forbes in the year 1865 and in the year 1868 he published Robert Falconer. In 1868 he also received the L.L.D. degree, which had attracted the eyes of Lady Byron, who had befriended him and later on left him with a legacy. During this time he also met Ruskin, Arnold, Carlyle, Tennyson, and many others. In the year 1872, he was part of an American Literature tour which helped him to make important friendships like with Emerson. In this tour, Macdonald had lectured about Burns, about the losses he had suffered for piracy of his works and a subscription was decided to be made to incur for the losses. He had written several books for children and some of them have received tremendous commercial success like At The Back Of The North Wind, The Princess and the Goblin and The Princess and the Curdie. He had published over almost 50 volumes fictions, short stories, and stories for children. He is most famous for his stories for children and is an important part of juvenile classics. ‘The Diary of An Old Soul’ is also a great piece of work. The readers commented on the work as thoughtful and deep. Though Macdonald had received a lot of commercial success somehow financially he was not in a good position. In the year 1877, he was pensioned for his ill health at the request of Queen Victoria. George had six sons and five daughters and somehow he was always struggling financially to meet the needs of his family. Somehow throughout his life, he had weak health. His daughter had to be taken to Italy in the year 1877, for recovering from her ill health but somehow, unfortunately, this trip ended up in her death. Macdonald from 1881 to 1902 used to spend a lot of time in Bordighera, as he really liked the climate of that place. He and his wife had spent a good amount of time there and had a good life. After their 50th marriage anniversary, his wife passed away the next year. George Macdonald had suffered from a long term illness and he passed away in the year 1905 at Ashstead, England. But he was cremated in Bordighera where his wife has been interred. George Macdonalds’s son, Greville Macdonald also grew up and became an author. He had written the biography of his father’s life.